They say that you’re either never touched this manga or you’re an avid fan—there is no one that’s only read one edition. 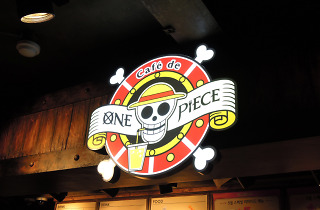 The Japanese manga One Piece about Monkey D. Luffy (the main character with the straw hat) and his adventures actually surpassed the popularity of widely successful Dragon Ball series. In 2015, One Piece even set the Guinness World Record for the “Most copies published for the same comic book series by a single author." 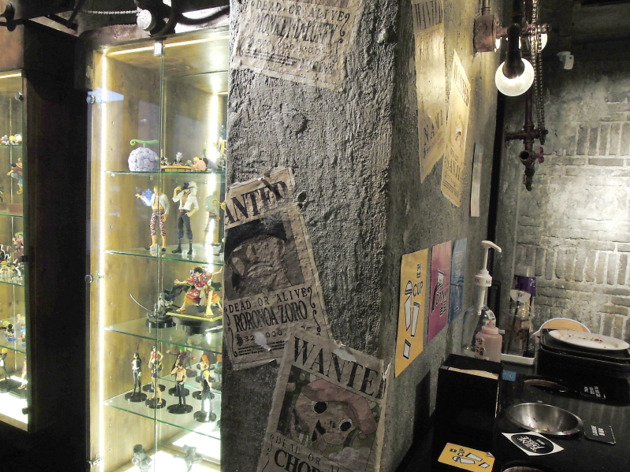 The manga is extremely popular in Korea as well, and you can find the official café located in Hongdae. 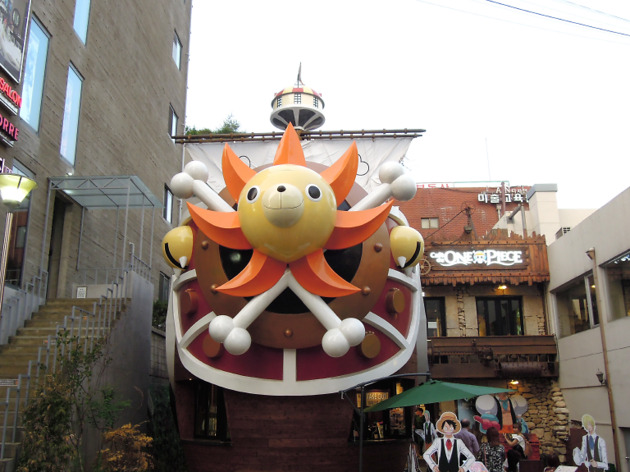 Its exterior is built to resemble Luffy’s pirate boat, Thousand Sunny, the one with the huge yet cute lion’s head—even you’ve ever had a glance at the manga, you’ll know exactly which café it is. 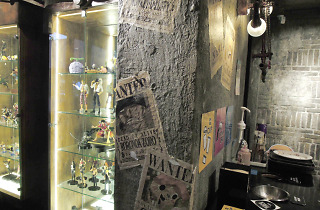 Inside the venue is divided into two sections: a café and a gift shop showcasing character figures and other novelty items. Mind you, there are no restrictions to enter the gift shop, but in order to use the café, each person must order at least one drink. 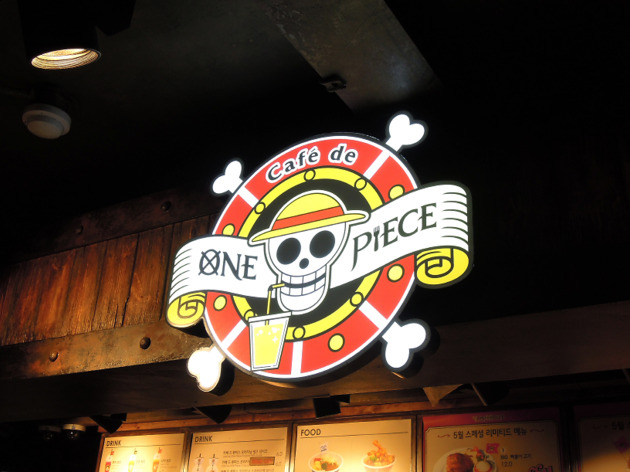 They have drinks and dishes based on the anime itself on the menu including the ‘Marine Curry (with rice)’, ‘Luffy’s Favorite! 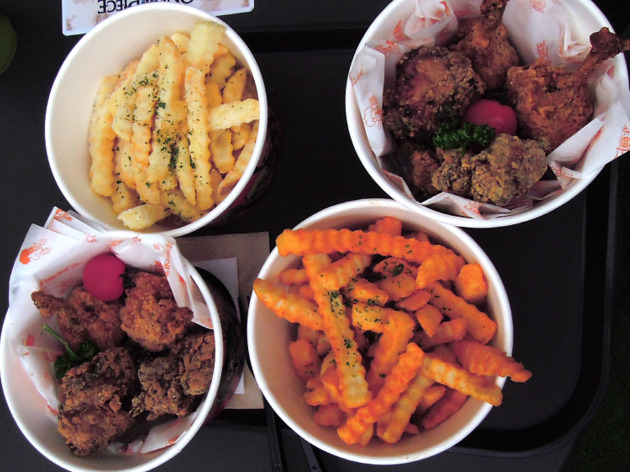 Mini Chicken on Bone’ and ‘Pirate Lunch Box’ among others. 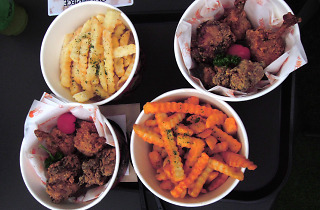 Their "moffle," which is a combination of mochi and waffle, paired with a fizzy drink is highly recommended. On the other hand, their soggy Chopper-Shaped Cake and shakes are items you might want to stay away from. Some of their shakes are incredibly sweet that you really can’t taste any of the other flavors in the drink. 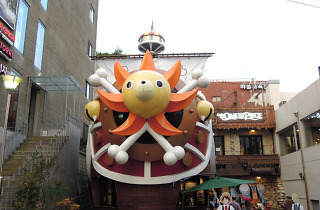 The second floor of the café has an outdoor terrace designed to resemble the deck of Thousand Sunny. The indoor, though, is no different than any other mundane café. If you’re a fan of the manga series, you’d probably want to sit out on the terrace, but it could be difficult as there are only a few seats available. A good thing is that you can always spend some time taking photos and looking around before getting a seat—although, you probably won’t be staying at the café too long as the space is pretty small and it can get pretty crowded, fast.